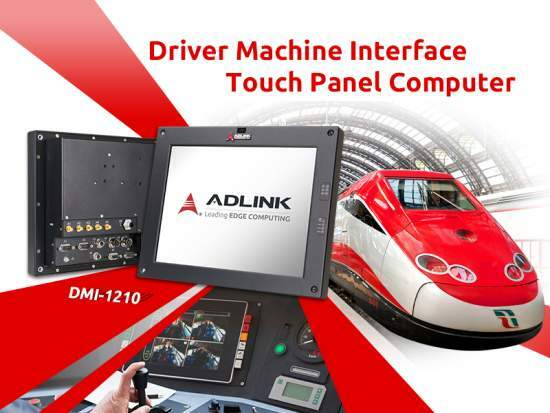 ADLINK Technology, Inc., a global provider of advanced Edge Computing products, today released its latest Driver Machine Interface (DMI) touch panel computer, the DMI-1210, designed specifically for train control and driver information display. Powered by the Intel Atom® x5-E3930 processor (formerly Apollo Lake) and featuring a 12.1” (4:3) high resolution color display, 5-wire resistive touch screen and securable I/O interface, the DMI-1210 can be deployed as an HMI unit for driver’s desks, control panel for passenger information systems, surveillance system control/display unit or in railway diagnostics and communications applications. 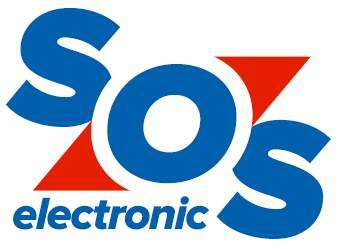 The DMI-1210 is an EN 50155 certificated, cost-effective, commercial-off-the-shelf (COTS) driver interface that offers train radio display, electronic timetable, and diagnostic display functions and additional functionality such as train data recorder. 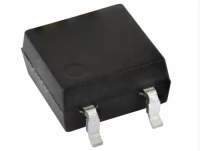 The DMI-1210 supports full range DC power input from +16.8V to +137.5V DC. Optional MVB, GNSS, 3G/LTE, WLAN, and Bluetooth through add-on modules give system integrators the necessary tools to expand use case possibilities. With ADLINK’s built-in Smart Embedded Management Agent (SEMA) management and status LEDs on the front panel, the DMI-1210 provides easy and effective health monitoring and system maintenance. 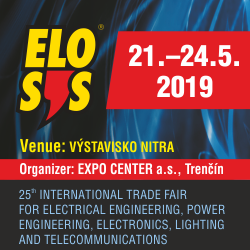 In addition, system robustness and reliability are provided by careful component selection for extended temperature operation, isolated I/Os, conformal coated circuit boards, securable I/O connectors and high ingress protection rating (IP65 front, IP42 rear). Designed to meet harsh operating requirements, ADLINK’s industry standard compliant, rugged product portfolio provides customers with a great level of flexibility in technology and roadmap planning. ADLINK focuses on continued development to build an even more comprehensive and cost-effective product portfolio to help customers effectively mitigate budget constraints while smoothly and seamlessly taking on technology migration and product integration. ADLINK is committed to helping customers gain competitive advantages by allowing them to focus their development efforts on differentiating end applications. 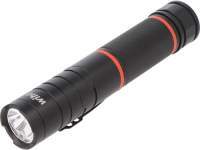 For more information about ADLINK’s DMI-1210 and other rail solutions, please visit the product and solution webpage.